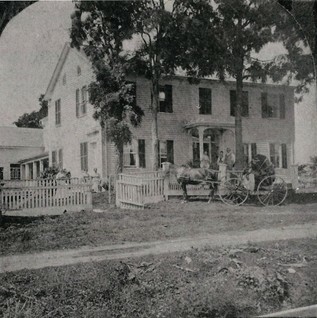 ABOVE: The Main House in the 1800's. ​ABOVE: Front entrance banister and staircase restored by Jack Clemmons and the Francis Brothers in 1966. 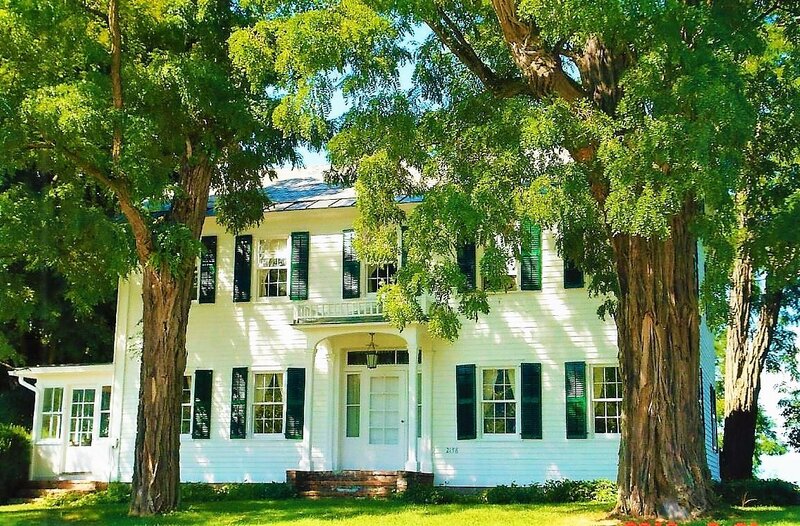 Built between the late 1770's and early 1800's, the colonial farm house (Main House) underwent 10 years of restorations by Jack and Lydia Clemmons. Beginning in 1962, they worked on the house every day after coming home from their work at the medical center, and also during the weekdays. Jack restored the fireplaces, using his own design for the mantelpieces, with the carpenter and mason team of brothers Cliff and Don Francis who had led the restoration work at the Shelburne Museum. The restorations they did at the Main House included rebuilding the crumbling chimneys, refinishing and rehanging the doors, refinishing the beautiful hardwood floors, repairing ceilings and walls, replacing the roof, and preserving an old banister and staircase in the front entrance of the house. The carpenters had urged Jack to destroy the banister because they felt it wasn’t worth the effort to salvage it. 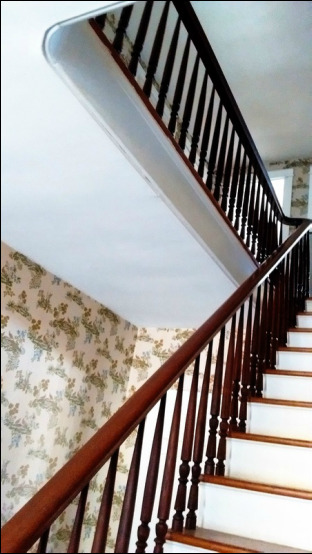 Jack disagreed, and for two weeks he worked every night to painstakingly remove the thick layers of old white paint that covered the stairs, and the long railing and spindles of the banister. Most likely the wood was covered with lead-based paint, as Jack fell very ill after spending hours every evening using a small handheld blow torch and steel wool to scrape off the paint. ​​ABOVE: In the video ​"Stair Stories", Jack and Lydia Clemmons share memories of the way the staircase looked when they first moved into the house in 1962, and the carpentry work Jack did to restore it. When he recovered from the paint fumes, Jack got to work repairing the broken spindles. He sanded and refinished the wood, oiling and hand-polishing nearly 75 individual spindles, one by one, until they shone. Then he carefully rebuilt the banister. Along with the original 1700's French-Canadian fleur-de-lis stained glass window, the old banister and stair case became the major showpieces of the Main House’s front entrance way. ​Lydia looked through scores of wall paper books to find new wall paper that would match the original wall paper they found in the house. She scoured the few fabric stores in Burlington, and purchased beautiful fabrics, which she sewed by hand into curtains for the living room, dining room, and family room. The couple began making weekend trips on the train to New York City, where they scoured antique shops for furniture and decor to match the period of their late 1700's home. Money was tight, so they were patient and frugal in their choices, walking along the side streets and often buying discounted furniture that needed refinishing or repairs– which became more weekend projects for Jack and his carpentry and woodwork skills.